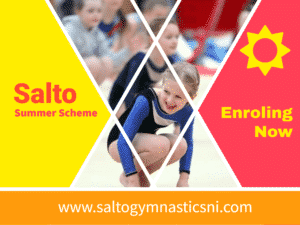 We designed a campaign for the City of Lisburn Salto Gymnastics Centre to let parents know they can sign up and pay immediately for one of the best summer scheme experiences in the country! We promoted the campaign on Salto’s social media – Facebook and Google Business. 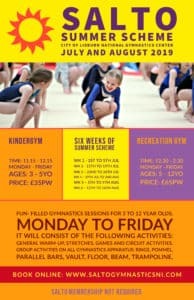 It follows the introduction of online payments for the centre earlier this year. And visit the Google Business page.